Experience a journey unlike any other with our award-winning product & services. 35kg Baggage Allowance. Great way to fly. Exclusive Benefits. Award-winning Airline. In an attempt to make travel more enjoyable for everyone, the website is known to offer several promotional offers and deals. These may be for a particular destination or even a reduced air fare on various locations across the world. You can easily find the latest and best promotions on the website. To ensure you don’t miss out on any of the deals, you can also subscribe to the company’s newsletter. A leading name in the skies, Singapore Airlines, is one of the finest airlines in the world with an exceptional fleet and renowned customer service. The company was established as Malayan Airlines and began with as few as 20 airlines. However, following the deal with Qantas, it was renamed to Malaysia-Singapore Airlines till it finally stepped away from the Malaysian alliance to form the Singapore Airlines that exist today. At present, the brand is for its constant flights to 62 Singapore Airlines destinations from the Hub, the Changi Airport in Singapore. A major identifier of this brand is the Singapore Girl. Dressed in her signature sarong kebaya, she’s the symbol of Asian hospitality recognised the world over. She was designed by Parisian couturier Pierre Balmain in 1968, the sarong kebaya is made of the traditionally Asian batik and has become synonymous with the Singapore Girl. The journey began on 1 May 1947, the Malayan Airways Limited (MAL) Airspeed Consul took off from Singapore Kallang Airport. It’s the first of three flights a week to Kuala Lumpur, Ipoh and Penang. In 1948, the airlines added flights to Bangkok, increasing its presence. In October 2006, the comprehensive suite of new generation cabin products were introduced across all classes. These include the world’s widest First and Business Class seats, which transform into fully-flat beds. In January 2008, the SQ318 to London was the first flight to take off from the new Terminal 3 in Singapore Changi Airport. The Singapore Airlines Business Class non-stop service from Singapore to Los Angeles began in August. In July 2013, Singapore Airlines launched its next generation of cabin products, set to be the new industry benchmark for premium air travel. Nearly US$150 million was invested to introduce the new products on an initial eight Boeing 777-300ER aircraft. These products were the result of more than two years of working with world-renowned design firms. Following widespread success, in 2017 Singapore Airlines unveiled its latest cabin products which were to be fitted to its Airbus A380 fleet starting from December, signifying an investment cost of USD850 million. The new products entered service in December on the first of five new A380 aircraft entering the fleet. Retrofit work was also said to take place on 14 existing A380 aircraft. The new Singapore Airlines A380 will be configured with 471 seats in four classes, featuring six Singapore Airlines Suites and 78 Business Class seats on the upper deck, as well as 44 Premium Economy Class seats and 343 Economy Class seats on the main deck. The Singapore Airlines booking section on the website is easy to navigate and plan your travel. To book your tickets using Singapore Airlines online booking simply follow the steps given below. 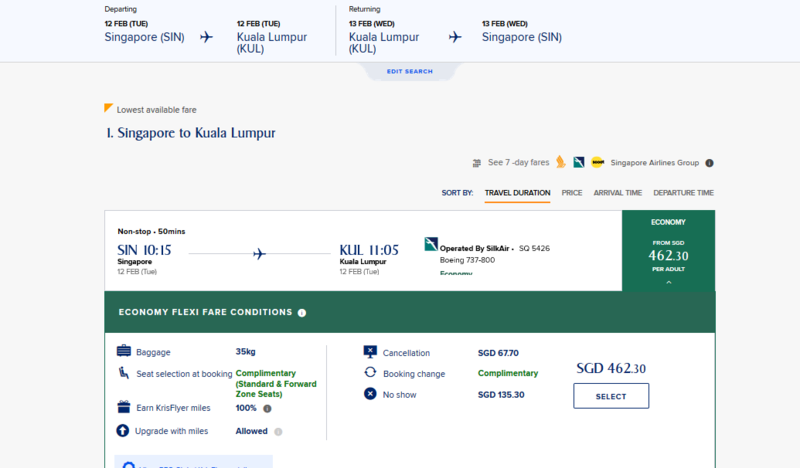 Step 1: Click on the ‘Book a Trip’ tab on the main page and enter travel details such as departure, arrival, travel dates and number of passengers. You can also choose your cabin and fare as per your comfort including Singapore Airlines premium economy and Singapore Airlines first class and click on ‘Search’. Step 2: You will be redirected to a page showing you all the available flight. Choose your departing and returning flight from the list available. You will be able to see a flight summary at the bottom. If the details are correct, click ‘Continue’. 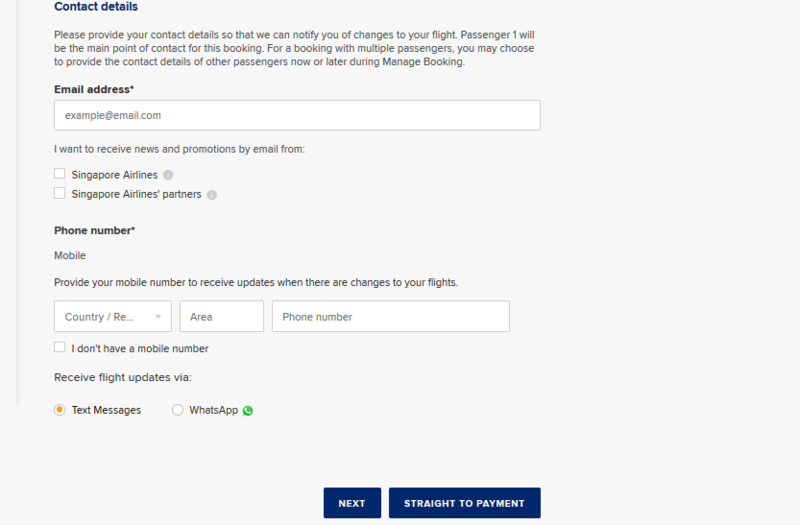 Step 3: Next, you will have to enter your personal details to book your ticket. 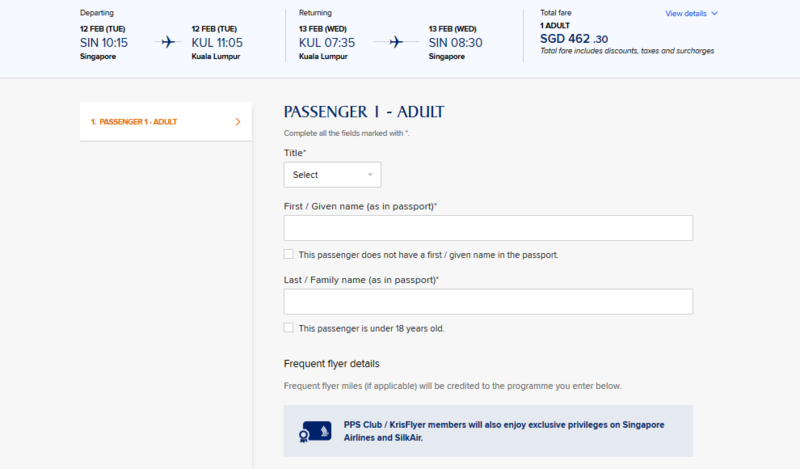 In case you a Singapore Airlines promotion voucher, be sure to add it in the box given for the applicable discount. Step 4: From here you will be redirected to the payment page where you will be able to see your trip summary as well as final payable amount. In case you have a Singapore Airlines promo code you can enter it in the space for the applicable discount. To make your trip more exciting, Singapore Airlines has partnered with RentalCars.com to allow you to enjoy your destination at your pace. Get where you need to go in greater convenience, and at a fantastic price. Rentalcars.com works with all major international car rental suppliers at over 50,000 rental locations worldwide to offer you a wide range of vehicles. The services offered here are rated by more than 2.7 million people. Each customer on Rentalcars.com rates the company that provided their car. Check the scores and make the right choice. Step 1: Visit the ShopBack website and click on the Singapore Airlines link at the bottom of the homepage. You can also use the search box to find the link to the link to the store. Step 3: If you are interested in finding an attractive Singapore Airlines promo code, check out the promo code, coupon and voucher section. 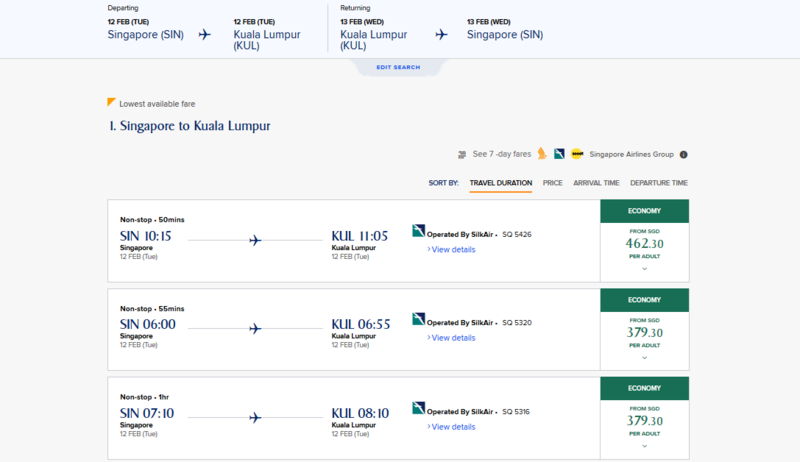 Step 4: You will be redirected to the Singapore Airlines website to browse and book your travel. 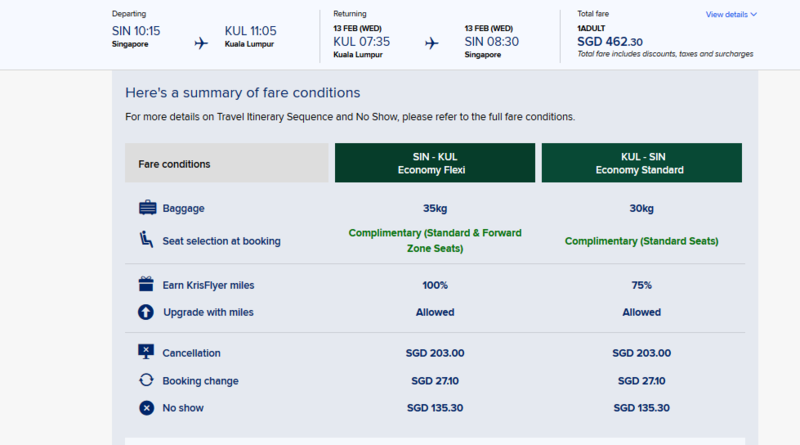 Only bookings made on singaporeair.com or from a local Singapore Airlines office can be cancelled online. To cancel a booking you’ve made with a travel agent, you will need to get in touch with them directly. 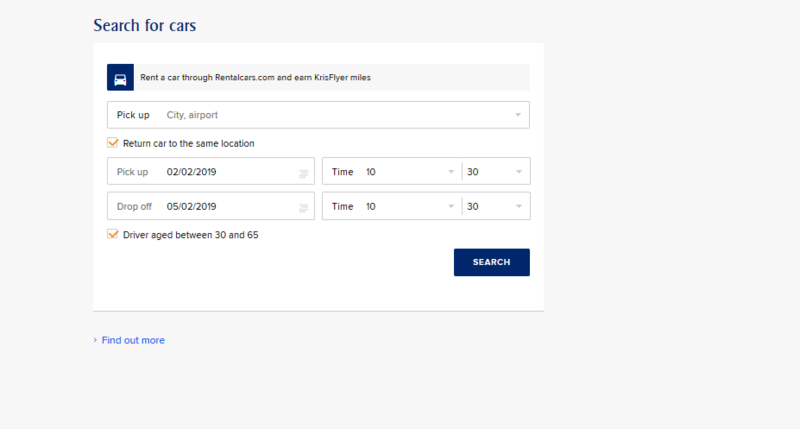 In case you already flown part of your itinerary, you can cancel your remaining flights by entering your Booking Reference number in the ‘Manage Booking’ section of the website. However, this is subject to the fare conditions of your ticket. Note that if you would like to cancel flight tickets by partner airlines, you may be able to subject to the fare conditions of your ticket. However, your cancellation will apply to your whole itinerary and for all passengers in your booking. If you’ve purchased a ticket on a refundable fare, you can request for a full refund on the website. However, cancellation/refund fees may apply. If you cancel a non-refundable ticket, only the taxes will be refunded. be guided through a few easy steps. If you’ve purchased a ticket for a flight to or from the USA, you may cancel your ticket without penalty within 24 hours of your booking, as long as it’s more than a week before your flight departs. To ensure that you get a full refund, your cancellation must be made with your local Singapore Airlines office. With Elite Gold Rewards, Singapore Airlines KrisFlyer Elite Gold members will be able to enjoy even more benefits and rewards for their travel. Elite Gold Rewards are applicable only to KrisFlyer Elite Gold members, whose current, Elite miles earned on Singapore Airlines and SilkAir flights meet the eligibility criteria. To track your Elite Gold Rewards, KrisFlyer Elite Gold members may check the “Elite Gold Rewards” tab under your Account Summary when you log in to your KrisFlyer account on singaporeair.com. (i) Self-service online at singaporeair.com. - KrisFlyer Elite Gold members may log-in to their KrisFlyer account on singaporeair.com for more information on how to apply their Elite Gold Rewards to a flight booking. Simply select “Elite Gold Rewards” tab in your Account Summary on singaporeair.com. Note that the Short-haul Advance Upgrade and Premium Economy Advance Upgrade Rewards may be used for bookings for your redemption nominees. The Double KrisFlyer Miles Reward, however, may only be used for bookings for the principal KrisFlyer Elite Gold member. Elite Gold Rewards are valid for one year from the issuance date. Please use your Elite Gold Reward by applying it to an eligible booking before the expiry date. KrisFlyer Elite Gold members may log in to their KrisFlyer account to check the validity of their Elite Gold Rewards. Simply select the “Elite Gold Rewards” tab in your Account Summary after logging in. Please note that the operating hours for the customer care team are from Monday to Friday, 8.30am to 5.15pm. The office is closed on Saturday, Sunday and all Public Holidays. In addition, should you need assistance outside of the operating hours, you may wish to contact the 24-hr Reservations Call Centre (Singapore) at +65 6223 8888.